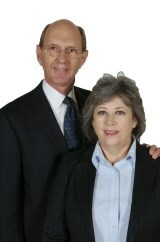 Frost's Estate agents was founded by local residents David and Mary Frost in 1992. David had enjoyed a very successful Estate Agency career in London and decided to take his experience and start a company in his local area of St Albans. The country was still reeling from the 1990/91 recession and many were wondering whether this new company would survive. When questioned what it was that Frost's were going to do differently, David confidently replied, that they would simply be better than the competition and so started a quest that continues to this day to provide 'Better Service, Better Marketing and Better Results' than our competition. 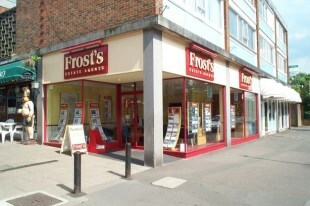 Frost's grew quickly, in the early 90's it was the only agent to provide colour advertising and colour details locally. This was a significant advantage and in 1995 our second office opened in the St Albans suburb of Marshalswick. We spotted a trend that sellers of Conservation area cottages, often preferred to move to the Marshalswick area as their families grew and so a Frost's office in the area provided an opportunity to further help them on their journey. Marshalswick's combination of local shops, quality schools and dominance of family oriented housing is just as popular as it was then. 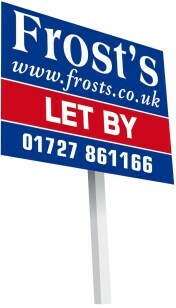 Right from the outset Frost's took Lettings seriously, back in 1992 when the 'buy to let' mortgage was in its infancy, few estate agents were interested in Lettings. At Frost's our early adoption of Lettings, has allowed us to build up the knowledge and experience to provide an expert service to the many Landlords who enjoy our Fully Managed service. Building on our success, further expansion came in 2000 when Frost's opened in the nearby town of Harpenden. Initially we opened in Harding parade, but when the opportunity came to relocate to highly visual offices opposite Waitrose on Leyton Road, we seized the moment. Whilst St Albans and Harpenden share many similarities, we understand that Harpenden has its own unique character and we tailor our services accordingly. LSLi took over the ownership of Frost's in 2012 following the sale of the business by David and Mary Frost. LSLi is a specialist property company that provided the finance that allowed Frost's to continue to grow, whilst maintaining our original brand and values. 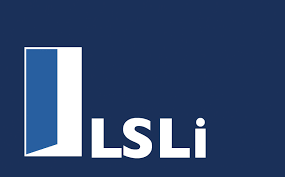 As LSLi are part of LSL, one of the UK’s leading residential property services companies, we knew we had the backing of a respected plc. David and Mary were very careful in the sale to ensure that the culture and values of a business that they had invested 20 years in was going to be handled sensitively. LSL own thirteen different estate agencies and have been equally respectful of the heritage and culture of each company whilst providing capital investment, experience and networks to help the business grow further and faster. In 2012 there was an opportunity to acquire a lettings business in Wheathampstead and with it a delightful shop in this pretty village, this acquisition further complemented our existing activities and our range of services to clients in the St Albans suburbs. Our four closely knit offices have allowed us to build a unique presence in Hertfordshire. Individually the offices provide a bespoke service to each community and our skilled and knowledgeable staff provide sellers and landlords the opportunity to market their properties, through all four offices to a very wide selection of buyers and tenants alike.